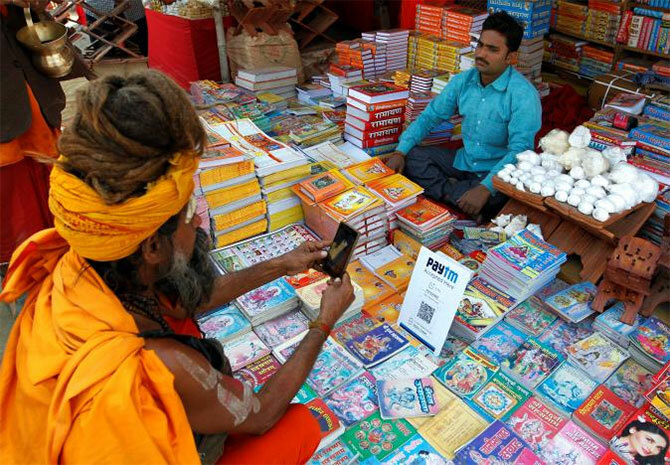 Rediff.com » Business » Mobile wallets vs UPI-based apps: Which should you use? Mobile wallets vs UPI-based apps: Which should you use? UPI transactions are growing faster, but wallets remain relevant for those without a bank account and seeking cashbacks, says Tinesh Bhasin. If you shop, order food, and book cabs online, there's a good chance that you have two-three or even more payment apps on your phone. But you may not have used a few of them for the past few months, with new players coming up with better offerings. Things are changing rapidly in the country's payments space with global technology giants entering the segment. Google Pay and Amazon Pay are already trying to win consumers' attention. WhatsApp is gearing up to enable users to send money to others through its chat app. Most of the new entrants are using the Unified Payments Interface (UPI) for their offerings. As these global companies resort to the UPI platform, many believe that mobile wallets, which saw an exponential growth in the past few years, may soon become redundant. The rise in UPI transactions has been enormous compared to wallet transactions over the past year (See table). The UPI platform is evolving and offers more features than wallets, but those are all meant for someone with a bank account. Unlike wallets, you don't need to load up money first in UPI-based apps. You can transact using a simple identifier that looks like an email address. Payments can be scheduled, and UPI can now be linked to overdraft accounts. "But all this is possible if you have a bank account. You can use wallets even without having a bank account. That's why they are used extensively in rural areas for money transfers and by the younger population in metros, which may not have a bank account," says Vinay Kalantri, founder and managing director, The Mobile Wallet. Wallets gained popularity due to discounts and cashbacks. That lure still remains. In fact, many companies are using this to build loyalty programmes. If you look at online travel agents, most of them offer cashback in their wallets on booking. A portion of this can be used for future transactions. Online shopping Web sites and some app-based taxi services also use wallets for cashbacks to make customers spend more on their Web sites. Kalantri points out that many customers use wallets as they don't want to involve their bank account in payments. They rather prefer an additional layer that doesn't involve a bank account. Many wallet companies have also added the UPI interface for peer-to-peer money transfer. Wallets have managed to grow despite the Reserve Bank of India making it mandatory for them to carry out full know-your-customer (KYC) compliance. Wallets have added support for many regional languages whereas UPI supports Hindi and English only. Understanding finance doesn't come naturally to you? Don't worry. Get smarter with Personal Finance tips delivered to your Inbox. Payments banks vs wallets: What should you opt for?